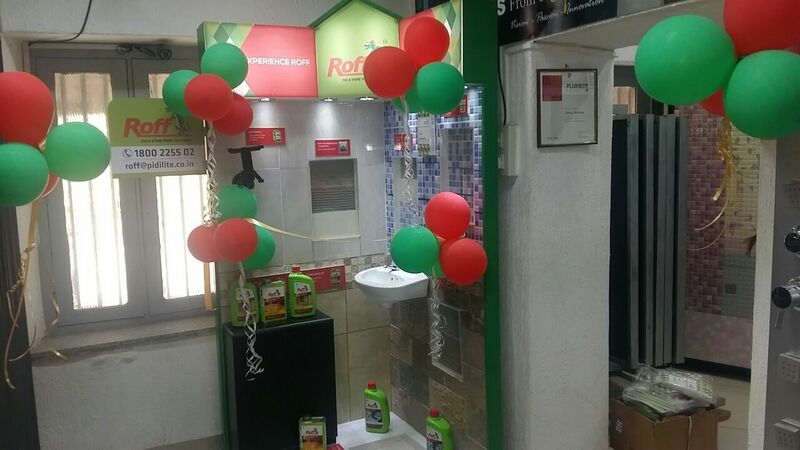 Roff from the house of Pidilite, the industry leader in construction chemicals, has launched Roff Experience Centre in Bangalore, the first of its kind experience centre to spread awareness and facilitate exploration, while adopting latest solutions in tiling and stone installation. The experience centre was inaugurated by Dr. Sanjay Bahadur, Global CEO, Construction Chemicals Division. Roff Experience Centre is designed to create an experience zone showcasing the adhesive, grouting and maintenance range of Roff. Consumers walking-in at outlets will be shown the advantage of tile adhesives and grouts over traditional methods of tile fixing. The wide range of adhesives options on substrates–stone, tile on tile and glass. The literature kept in the zone will look at educating the consumer on tile care, modern methods of tile fixing, generating architectural ideas and offering various solutions for difficult tiling areas.